Sede Bella, the villa the room is in, was sold for over RMB 200 Million. WHY: Just outside of the city limits, the Sheshan Golf Resort resides with beautiful greens to play and luxury real estate. There are three different themed villas; a French, a Spanish, and a Tuscan theme that give you a sense of living like a royal from that area. Limelight Studio was invited out to see these grounds as well as take photographs of the Country Villas. 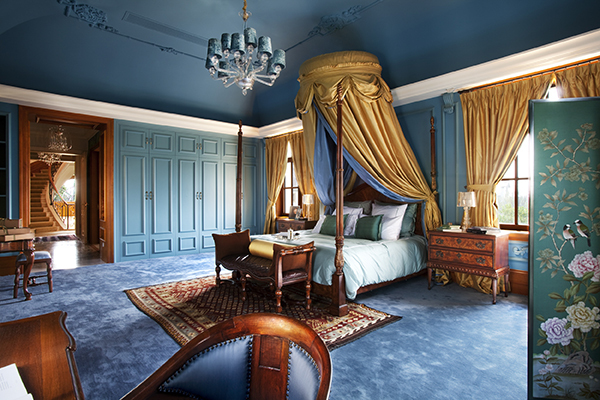 HOW: The basic idea for these shots was to capture the luxury and beauty of these rooms. Minimal lighting was used. We decided on the use of natural daylight ambient from the grand windows. Once the camera was in place, we took a series of exposure brackets. Essentially this photograph were high-dynamic-range (HDR) images, where you capture the darkest and lightest color range of the photograph by taking a shot of the same image in multiple exposures to get the highest contrast in light and colors. Then, in postproduction, you layer and mask the multiple exposures together so the photograph has the chosen exposure and color for each portion of the image.